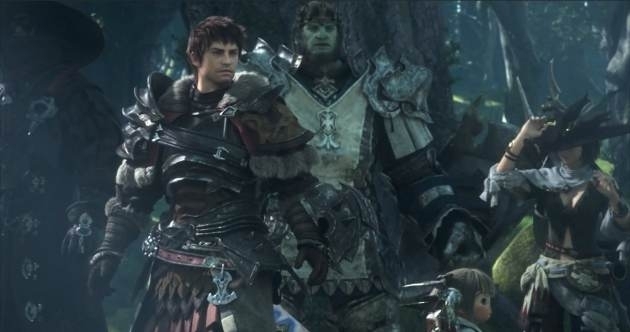 There have been a few hiccups along the way, but hundreds of thousands of Final Fantasy XIV players will be scampering around Eorzea as the relaunch of Square Enix's MMO arrives today. Many will be logging in—or remaining logged in from Early Access—to revel in the wide expanses of a lush new world. It's always exciting to jump into an MMO on day one to see just what's on offer, but just what does FFXIV bring to the table? Firstly, and perhaps most importantly, the problem that many fledgling MMOs have is a lack of community. Just from the response to our new sites XIVwiki and XIVDB, it's obvious there is a passionate community already encamped. It's unlikely you will be hitting empty servers when you log-in. Though we will be producing a proper in-depth review from the illustrious Ragar in the next week—once he has enough play time under his belt—my first impressions of FFXIV are of an old school, gorgeous MMO with a large world and an abundance of content, all with a very particular Final Fantasy flavor. Though FFXIV has a very crisp and modern engine, there's a very nostalgic feel to the gameplay and world that I find very endearing. Hopefully, the server issues that have dogged the game in recent days have alleviated enough to make everyone's experience enjoyable. "Again, the release is only our first step, and there's still so much we would like to do. With plenty of plans well underway, the story we're working on is sure to amaze you. Having achieved the impossible with the release of A Realm Reborn, we look forward to continue doing the impossible together with our fans, creating an online experience we can all be proud to be part of." Flexible class system that allows players to change to any of the 19 different classes on the fly by simply changing their equipped weapon or tool. Players can also unlock 9 different jobs as they advance in level. Congratulations to Square Enix on the unprecedented achievement of relaunching a completely revamped MMO on such a grand scale and stay with us at ZAM for lots more FFXIV content in the weeks ahead. Are you heading to Eorzea today? What are you looking for out of your first day experience? Have you been in Early Access? If so, is the game living up to your anticipation? Leave a comment below or discuss the latest goings-on in our FFXIV Forum. FFXIV:ARR is available for $39.99 on PlayStation3 and $29.99 for Windows. After the initial 30 days, subs begin at $12,99 per month.